We all love to make creative, crafty, one of a kind DIY Christmas decorations for our house, right? But let’s face it, those craft store receipt totals get larger every year! So we have a list of dollar store items that are our go-to’s for crafting, and one of those great deals are dollar store ornaments. 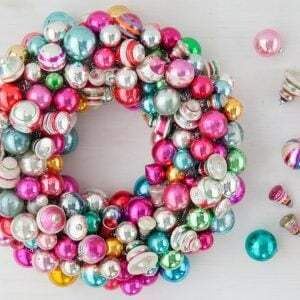 Ornaments are so easy to decorate with, adding color, sparkle and holiday happiness for just a few dollars. (Especially from the dollar store!) If you don’t find ones that fit your theme at the dollar store, remember most of the major craft stores have 50% off sales on ornaments starting in early November. 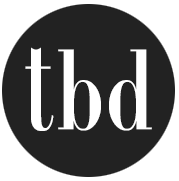 (Which makes them almost dollar store cheap!) 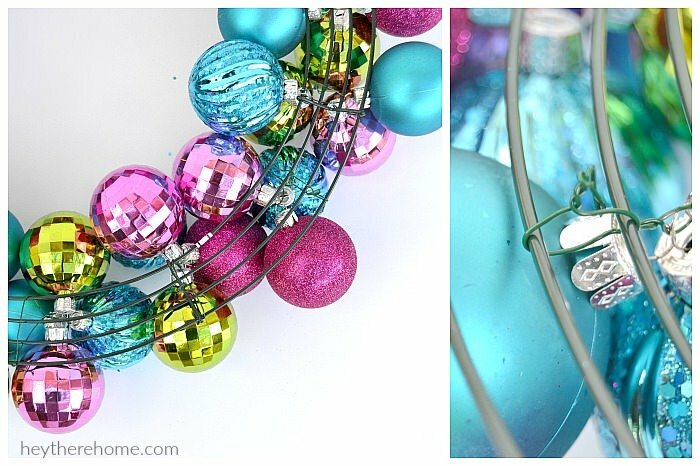 Here are some of our favorite tutorial picks for DIY Christmas decorations & holiday projects using dollar store ornaments! 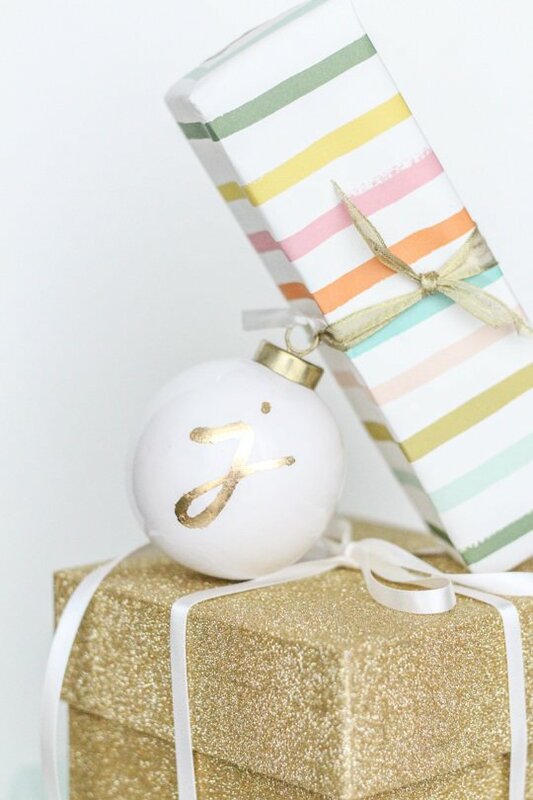 These monogrammed DIY ornament gift tags are a simple project, with an elegant twist. Instead of just using a paint pen to draw on the monogram, ‘Sugar & Cloth‘ shows us how to use a gold leafing sheet. This DIY Christmas decoration created a high end look, with a low end budget! 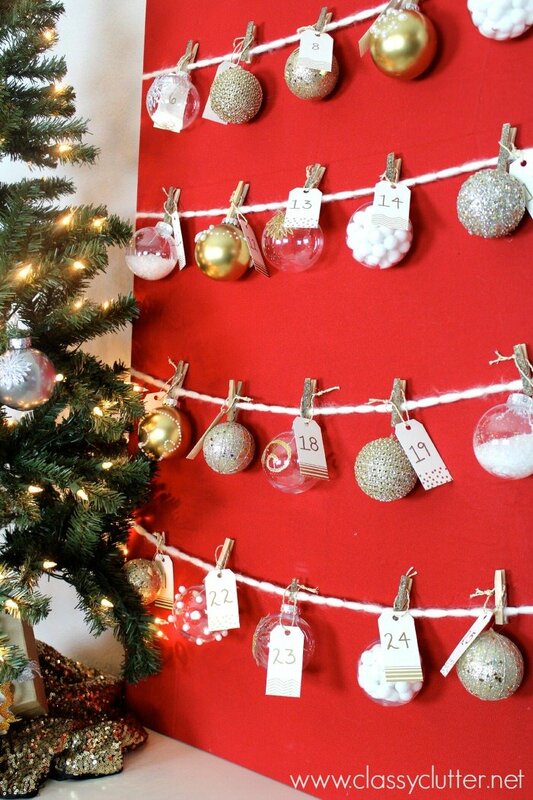 This DIY ornament advent calendar from ‘Classy Clutter‘ is simple and colorful, fun and fancy all at the same time! BTW, you can even get the clothespins and the glitter at the dollar store too! Ok, this one is our favs! This DIY ornament chandelier idea from ‘Vera Bradley’ is such a sophisticated DIY holiday project, but so simple! 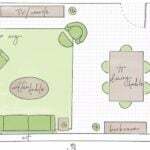 You could obviously do this with more traditional colors, or a multi mix of hues. From ‘Tori Spelling‘, make this pretty DIY ornament garland and use it over your fireplace or hanging in front of a picture window. 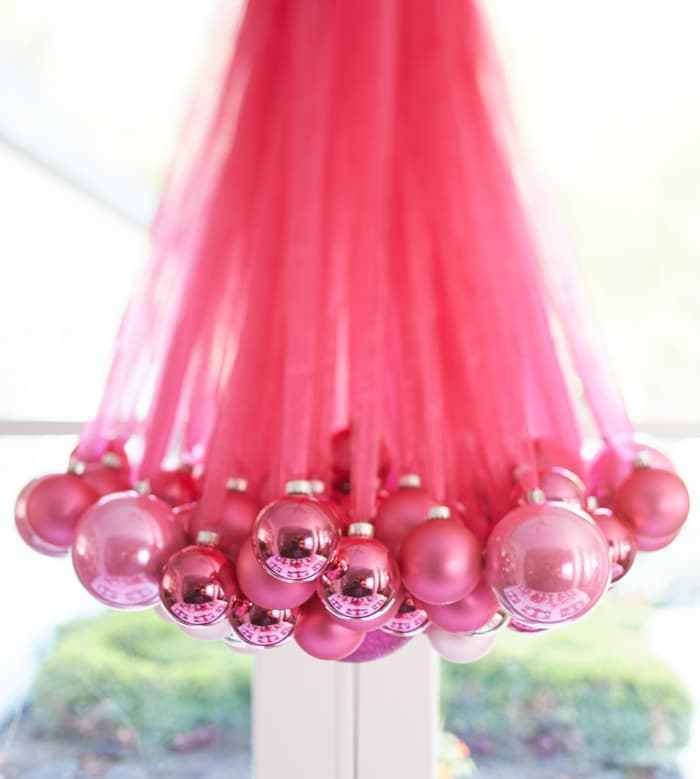 Again, you could make this DIY Christmas decoration in any color. Jessica at ‘Four Generations, One Roof‘ shows us how to make a Christmas wreath using dollar store ornaments. (Or any affordable ornaments!) Love the color splash here! And I also love how she used it over her fireplace instead of the traditional front door wreath. What a happy holiday welcoming room! Corey at ‘Hey There, Home‘ did her ornament wreath a little differently. She wired hers onto a wire base so it can withstand outdoor elements. The color scheme she chose may be my next holiday pick! 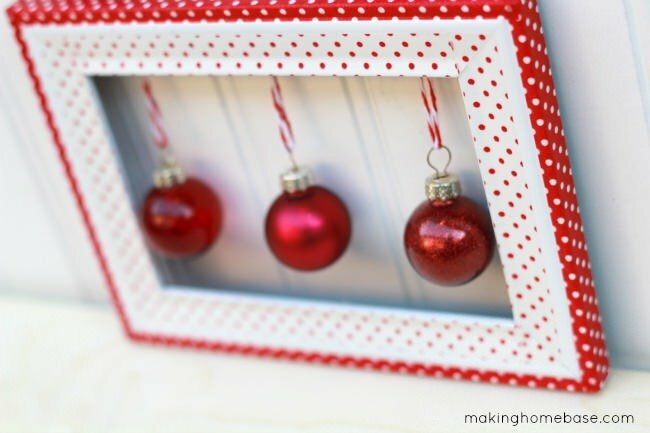 Seriously, you can use dollar store ornaments for these DIY Christmas projects! Yay! Ok, we absolutely love this silver and gold ornament tree from Maryann at ‘Domestically Speaking‘! 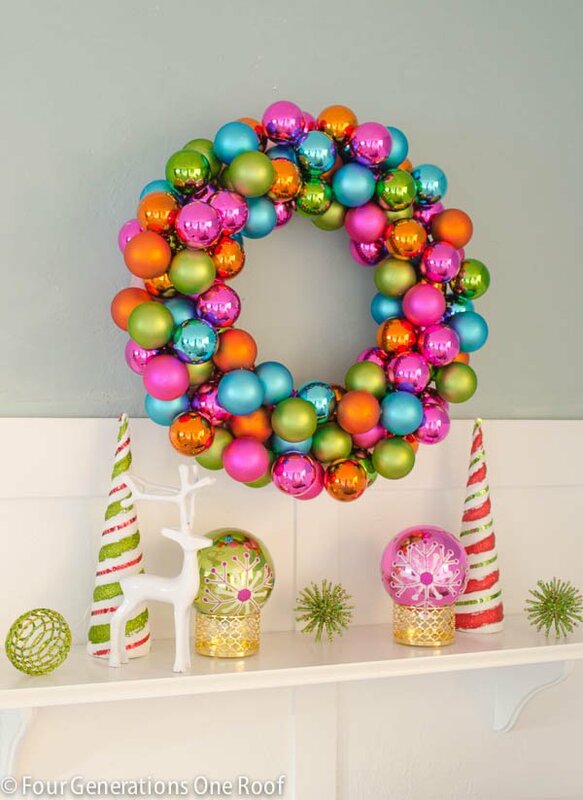 This is one of those DIY Christmas decorating ideas you would want to use year after year. Great step by step tutorial. 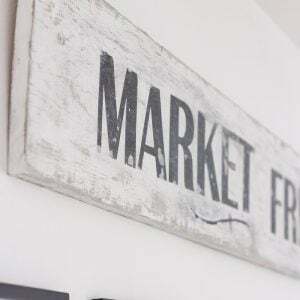 If you were a big fan of the burlap and chalkboard craze (weren’t we all? 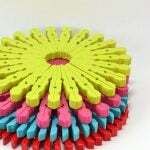 :)) then you are going to love these DIY Christmas decorations. 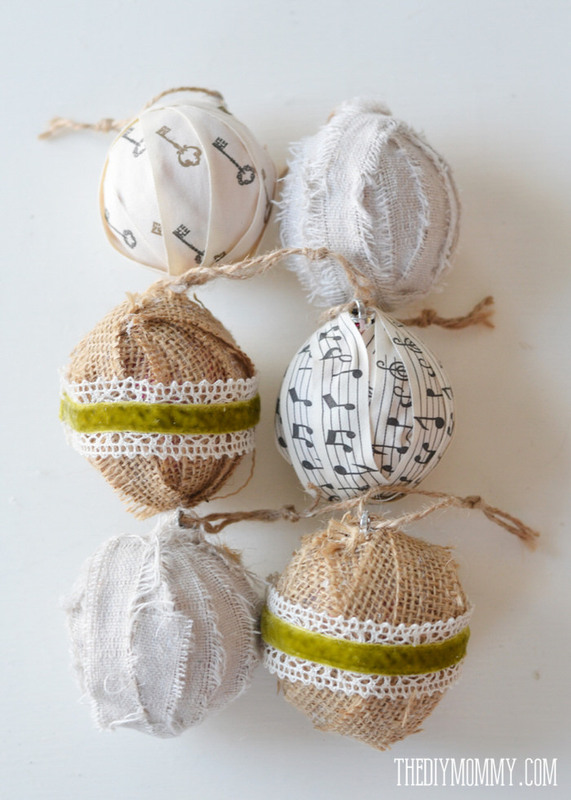 Fabric and ribbon wrapped DIY ornaments from ‘The DIY Mommy‘ are the perfect way to reuse old ornaments, or to cover less than perfect ones. (Dollar store!) These have that perfect organic feel to them. Don’t they say “Simplicity of the Holiday Season” to you? 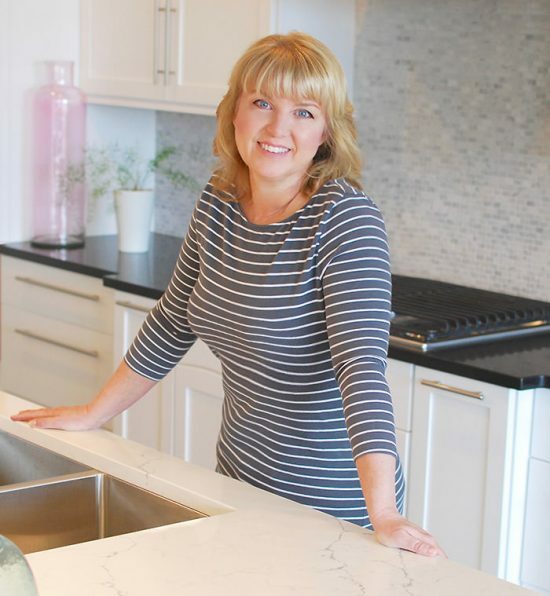 Now one for the kids… We love Kara at ‘A Kailo Chic Life‘ because she is NOT afraid of color. 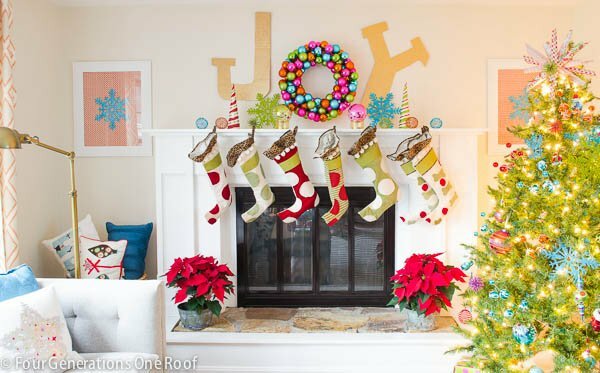 The styling of this whole holiday vignette is such a pop of happy! 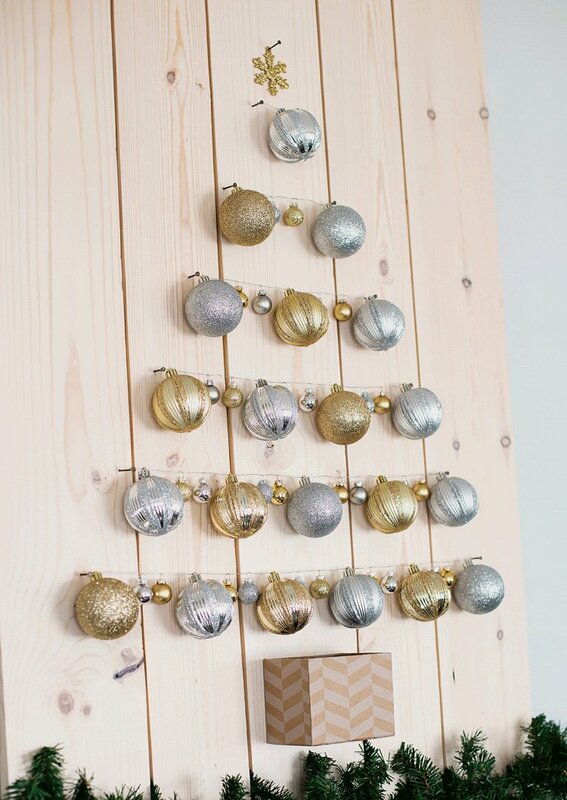 This simple modern tree advent calendar would be such a hit with kids. And you don’t have to limit yourself to ornaments… You can use dollar tree toys and goodies too! And yes, there is a full tutorial for the wooden tree frame. 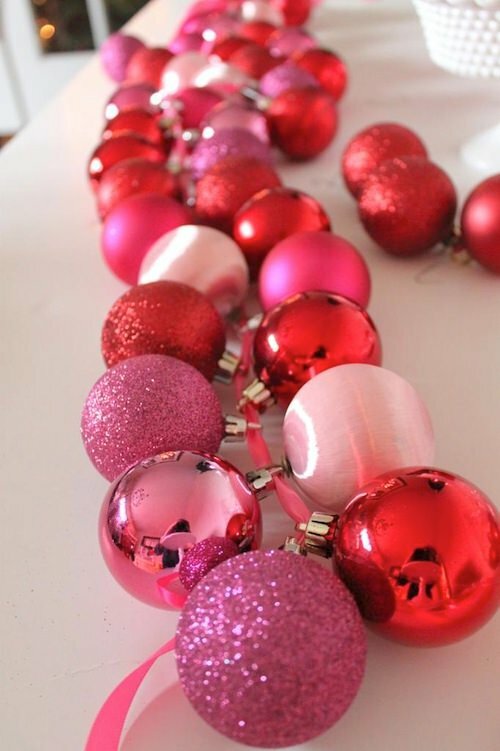 How can you not be in love with these affordable, simple DIY holiday projects? Last for you, we love the fresh feel of this holiday wall hanging made with washi tape. From Chelsea at ‘Making Home Base‘, this simple DIY Christmas decorating project up-cycles an old picture frame, and uses Washi tape from the craft store. This is the perfect little pop of holiday cheer! If you loved these great DIY Christmas Decorations & Holiday Projects using Dollar Store Ornaments, then try our posts on our DIY Christmas Luminarias, and our DIY holiday projects with sparkle!